One would have had to have had a heart of stone when driving along Beenleigh Road on Friday and yesterday to ignore the plethora of flags, banners and posters calling residents of the area to donate blood. The inaugural Crescents Blood Drive was, by all accounts, a resounding success with over 180 turning up to the Kuraby Community Hall car park yesterday (Saturday). Minister of Health, Stephen Robertson and Minister of Police, Judy Spence, were among the many to put their weight behind the Crescents campaign, donating for the very first time. Three large imposing Donor Vehicles were stationed in the car park throughout the day (one of which cost in excess of half a million dollars fitted). Donors were handed personalized certificates of appreciation and there were random draw prizes for nine lucky donors ranging from store gift vouchers, car washes (very handy during level three restrictions), coffee table books and complimentary tickets to Allah Made Me Funny. And while the sausages sizzled away in the background the CresWalk2006 video provided a nostalgic trip down memory lane for some. Crescents of Brisbane wishes to record its sincerest thanks to the Red Cross and the fantastic team of friendly nurses and coordinators. There were many who had donated for the very first time in their lives and the Red Cross team did a marvelous job to put them at ease. Of course this initiative would not have been possible without the kindness and generosity of the CCN readers who put out their hands in support of the cause. A BIG THANK YOU to you all! Silma and Baheej re-mortgage their home to set up a Muslim school. Their dream sours when they discover the land they have leased is contaminated. Embroiled in a bitter legal battle, the school owes $2 million and is in Voluntary Administration. Silma faces bankruptcy..... Can the school survive while Silma pursues justice and compensation in the Supreme Court? Moving, suspenseful and funny, the day-to-day drama offers a unique invitation into Muslim life in the West and explores some of the major issues faced by young Muslims growing up here. 'A cultural landmark' - an extraordinary story set in an ordinary everyday Muslim community in Australia. No labels. No stereotypes. And not before time. SILMA'S SCHOOL - SUNDAY 3 SEPT at 10.10pm; repeat THURSDAY 7 SEPT at 11am. Post-broadcast Q&A at www.abc.net.au/compass - follow links to Silma's School online forum. A quiet dinner at the Sitar Indian Restaurant in Albion served as the backdrop to a presentation by Pakistan Country Manager Dr. Rubini Gallani of the work being undertaken by the Fred Hollows Foundation. In addition to their primary mission, the Foundation has been responsible for major relief efforts in the aftermath of last year's Pakistan Earthquake. There's a Whole Lotta Lovoing Goin' On! The Brisbane Muslim School will be celebrating their Foundation Laying Ceremony of the Permanent Classroom Buildings on the 16th September at 3:00pm – 4:00pm. . There will also be a fundraising LOVO Dinner which will be held on the same day in the evening at 6:00pm. During the time of Ceremony and LOVO the school will be open for visitors to visit the Science and IT demonstrations. For further information contact Shahid Khan 3372-1400. After a year travelling the world, Britain's first Muslim Miss England returned to school last week to study for her A-levels. Hammasa Kohistani, 19, whose family fled the Taliban regime in Afghanistan went back to Uxbridge College, Middlesex to take up media studies, sociology and politics. Miss Kohistani said that as Miss England she was frustrated at always being asked political questions because of her religion. "No one wanted to know my favourite movie or food and other usual Miss England questions," she said. But she said she was considering a career in politics. She accused Tony Blair of fuelling hostility towards Islam after the July 7 bombings. "Tony Blair addressed Muslims in particular, telling them that they need to sort out the problem within. "That was a huge stereotype of the Islamic community," she said. She was crowned Miss England and will travel to China for the final in December, when she could win £55,000. Miss Kohistani, of Uxbridge, west London, said: "I'm making history and I'm very happy. Hopefully I won't be the last Muslim girl to take home the title." Before the Miss England final Islamic leaders in the North-West urged all four Muslim entrants to withdraw from the contest as they would be compromising the teachings of the Koran by showing naked flesh. Miss Kohistani said in response to the criticism: "I don't think I have done anything wrong. I have the utmost respect for the strong beliefs of the religious leaders." However, she said other people also had the right to their own views and she hoped people would respect her for her decisions. During the contest the girls took part in a fashion show, in which they modelled sportswear and evening gowns. Each contestant also gave a performance of singing or dancing. Miss Kohistani, known in the contest as Miss Maya after the Asian fashion house that sponsored her, said her family was proud of her. "As long as they're happy, then my conscience is clear that I have done nothing wrong," she said. Miss Kohistani has 11 GCSEs at grade A* to C, and speaks six languages including Russian, Persian and French. She is now studying to take A-levels and hopes to go to university to do a degree in advertising. She was born in Tashkent, central Uzbekistan, after her parents were forced to flee Afghanistan, and moved to England at the age of nine. Miss Kohistani has now been offered a part in a Bollywood movie. She said after the contest: "Hopefully I can bring the Miss World title home with me." The largest Muslim organization in North America has elected a Canadian-born professor as its first female president — a result the group says signals support for women as leaders throughout their community. Ingrid Mattson, a convert to Islam from Catholicism and an Islamic law scholar at Hartford Seminary in Connecticut, was elected to lead the Islamic Society of North America just ahead of its annual convention. Mattson, who grew up in Kitchener, Ont., and studied philosophy at the University of Waterloo in the 1980s, now lives in Connecticut with her husband and two children. She became interested in Islam while travelling to British Columbia by train for a tree-planting job in the summer of 1987. She later went to Pakistan to work at a refugee camp, helping women and children displaced by conflict in Afghanistan. 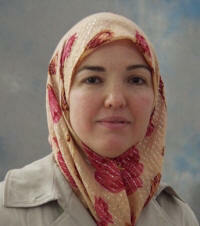 "When I finally met this woman I found that she was covered, head to toe, in traditional Islamic dress. I realized with some amazement that my husband had never seen her. He had never seen her face. Yet he knew her. He knew her by her actions, by the effects she left on other people." Formed in 1963, the Islamic Society of North America is an umbrella group that represents Muslim associations for youth, college students, engineers and others, and also provides support to Muslim chaplains and North American mosques. Its annual meeting regularly draws more than 30,000 people. The president serves a two-year term, leading the society's committees and executive boards that set policy through consultation with its members. Mattson's election represents "a wonderful message to the Muslim community that Muslim women, who are sometimes seen as less, can rise to these positions," said Sayyid Syeed, secretary general of the Islamic Society. American Muslims have struggled over the proper role for women, debating most recently how far mosques should go in separating men and women during worship and whether women should lead mixed-gender prayer in mosques. Still, women have had prominent roles outside of religious services, founding and leading some Islamic groups throughout North America. The Islamic Society president is only rarely called upon to lead prayer, Syeed said. He added that Mattson will lead only ritual worship for women. "That does not in any way limit her role as president," Syeed said. The Immigrant Women’s Support Service is hosting a Forum entitled “Moving Beyond Rhetoric to Diversity in Practice: A Human Rights Framework to Address Violence Against Women”. Project Abraham is a quest for harmony in troubled times through developing a better understanding of Islam, Christianity and Judaism. This community forum and exhibition is to be held next Sunday (10 September) at the Gold Coast Arts Centre. An Iranian-born U.S. woman will become the world's first female space tourist on September 14, joining a Russian crew on a mission to the international space station. Anousheh Ansari will join the crew of the Soyuz TMA-9, which will launch from Kazakhstan, according to the home-technology company, Prodea Systems Inc., run by Ansari's family. "This is a dream that I've longed for since childhood," Ansari said. "I'm fascinated by the mystery and beauty of the cosmos. I deeply believe that the long-term survival of the human race will largely depend on our achievements in space exploration." Ansari is expected to return to Earth 10 days later with Pavel Vinogradov and Jeff Williams, who have been on the space station since April 1. Ansari's company is sponsoring her trip. She is the chairwoman, and her husband is chief executive. Entrepreneur, co-founder and CEO of Telecom Technologies Inc. (TTI), Anousheh Ansari was born in 1967 in Tehran. Ansari dreamed of being an astronaut while growing up in her native Tehran. She witnessed the Iranian Islamic Revolution in 1979. She immigrated to the United States in 1984 and received her BS in electrical engineering and computer science from George Mason University. She obtained an MS from George Washington University. Ansari, along with her husband Hamid and brother-in-law Amir, founded TTI in 1993. The company was acquired by Sonus Networks, Inc. in 2000. Ansari was listed in Fortune magazine’s “40 under 40“ list in 2001 and honored by Working Woman magazine as the winner of the 2000 National Entrepreneurial Excellence Award. Most recently, Prodea Company, has announced the formation of a partnership with Space Adventures, Ltd. and the Federal Space Agency of the Russian Federation (FSA) to create a fleet of suborbital spaceflight vehicles (the Space Adventures Explorer) for global commercial use. After several months out of commission as a result of a fire, the Nandos, Mount Gravatt store has resumed operations having undertaken a major refurbishment in the process. Ms Farah Gutta has launched a new business specializing in Manicures and Pedicures, Make Up and Hair Styling. 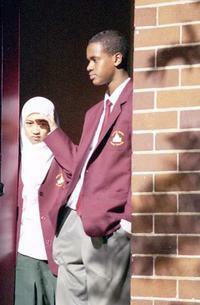 Queensland Muslim tImz, n Assoc. w Holland Park Mosque, hz set ^ a SYS 2 notify registRd usrz by email n/or SMS az s%n az info cumz 2 h& of d moon citeN dat marks d beginN & nd of Ramadan n Brisbane. nw ther iz n nEd 2 hang rownd d corridors of yor Mosque w8N 4 SOME1, somwher 2 paS on d nuz wen U cn reliably git d msg wherever U hpn 2 b. 2 sgn ^ simply fiL n DIS form. Shab-E-Baraat will be celebrated at the Algester Mosque on Friday 8 September. The programme will be from Maghrib to Eshaa with recitations of Yaseen Shareef and Nafil Salaahs. Refreshments will be served after Eshaa. Then a visit to the Qabrastaan will be made for Dua–E-Maghfirah. On return from the Qabrastaan, Salaatul Tasbeeh will be performed. To lose one's wealth is sad, indeed. Today, only is our own. So live, love and toil with a will. There is a call for Volunteer Roles which are available for the Queensland Multicultural Festival on 15 October 2006 at Roma Street Parkland, Brisbane. The Festival is looking for about 80 people in total and it is a great opportunity to be involved in one of Queensland's major cultural events. CCN wishes Fahim Gutta and Faizal Koya a quick and speedy recovery, inshaAllah. Alhamdulillah it is with great pleasure and honour that we take this opportunity to thank Allah and your team to make possible a wonderful and successful Blood Donation Drive today Saturday 2-9-06. We pray that Allah guides us even further and thank your team once again. Email theteam@crescentsofbrisbane.org to claim a date for your event.